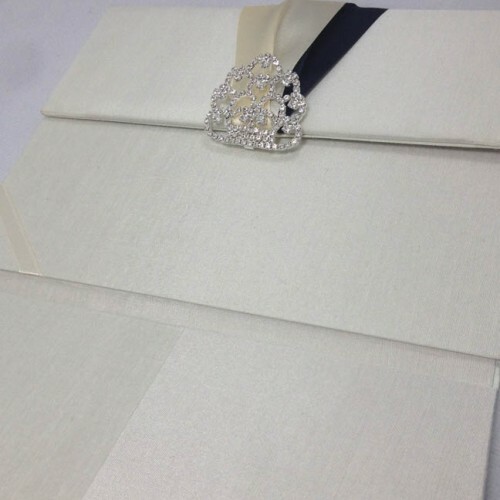 Ivory is the colour of purity – something every bride wants to convey. 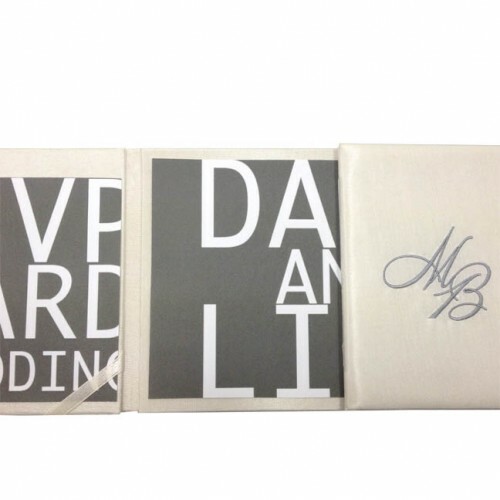 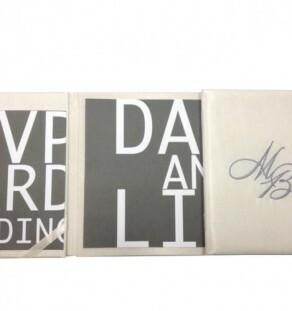 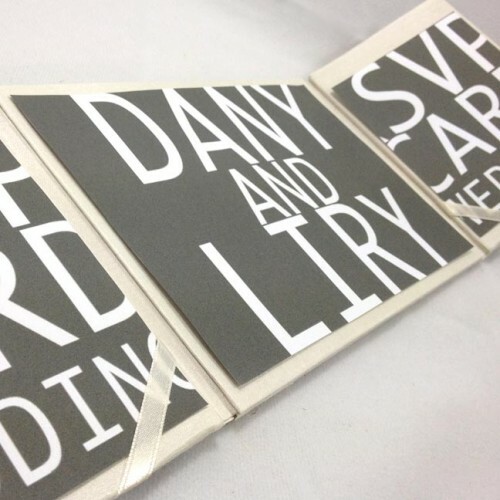 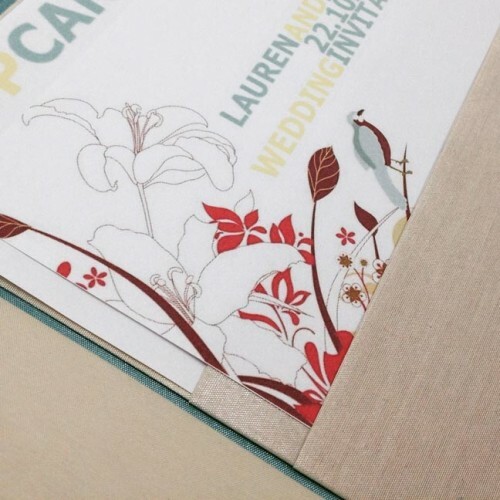 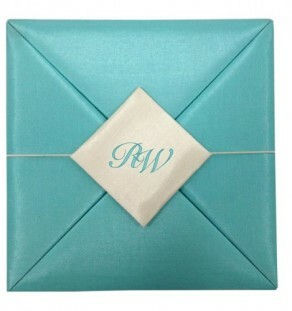 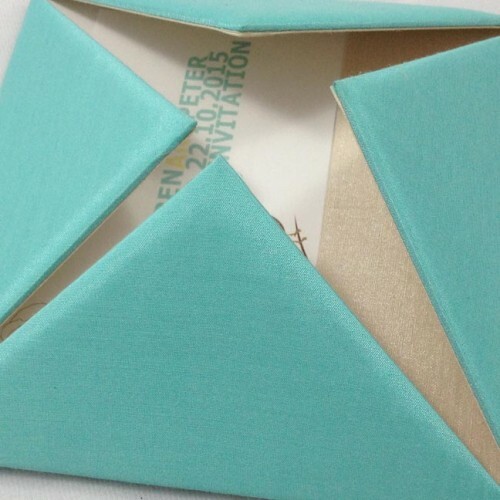 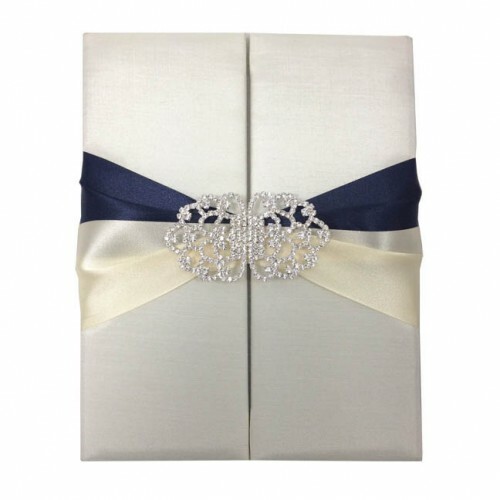 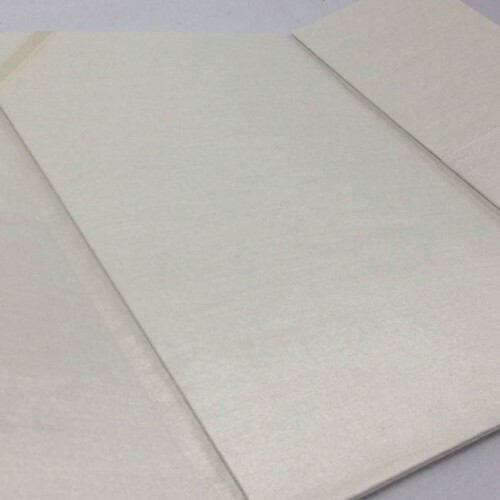 This beautiful bridal wedding folder has two doors to keep your guests in suspense before reading the invitation. 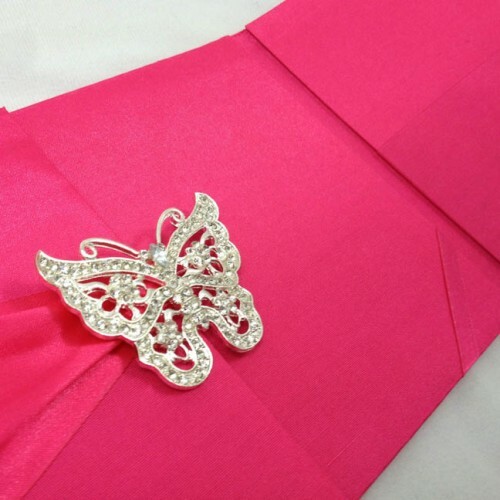 They are sure to be excited about your upcoming nuptials after opening this stunning invitation holder. 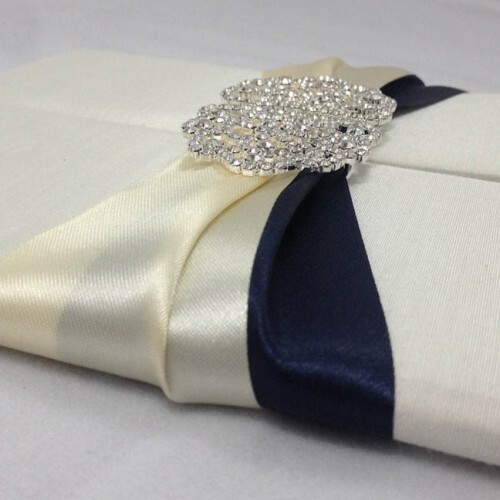 With a two-tone ribbon in ivory and navy, this would be the perfect gate folder for anyone who has a navy theme for their wedding. 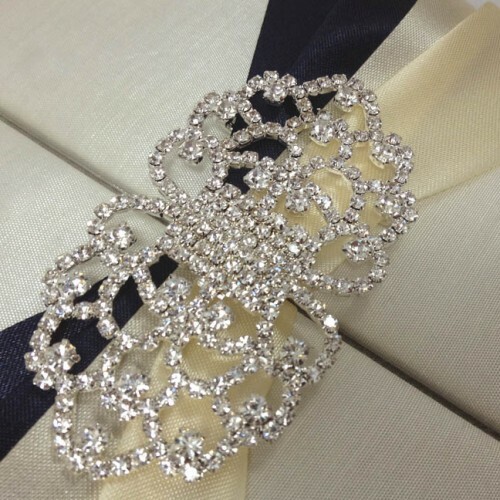 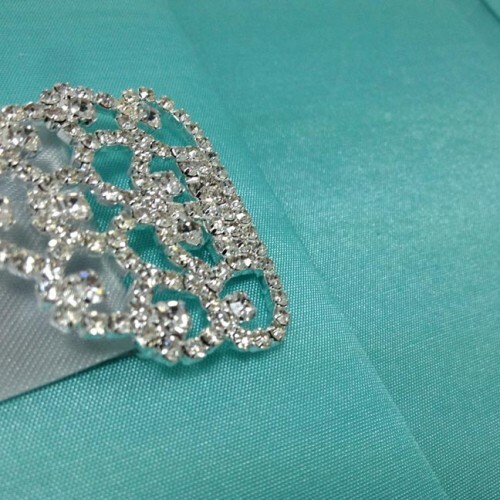 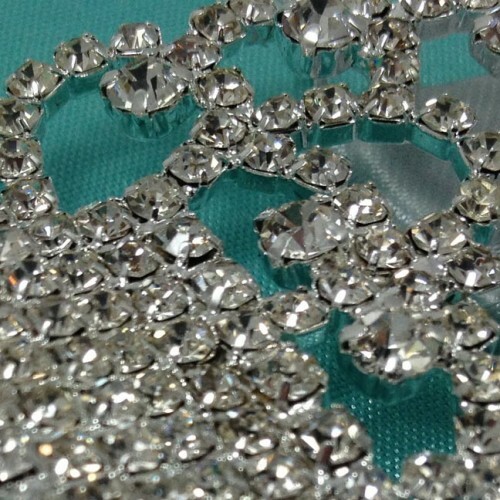 The high-quality rhinestone crystal clasp makes it that little bit more special, and will show your guests that they should be prepared for a classy affair. 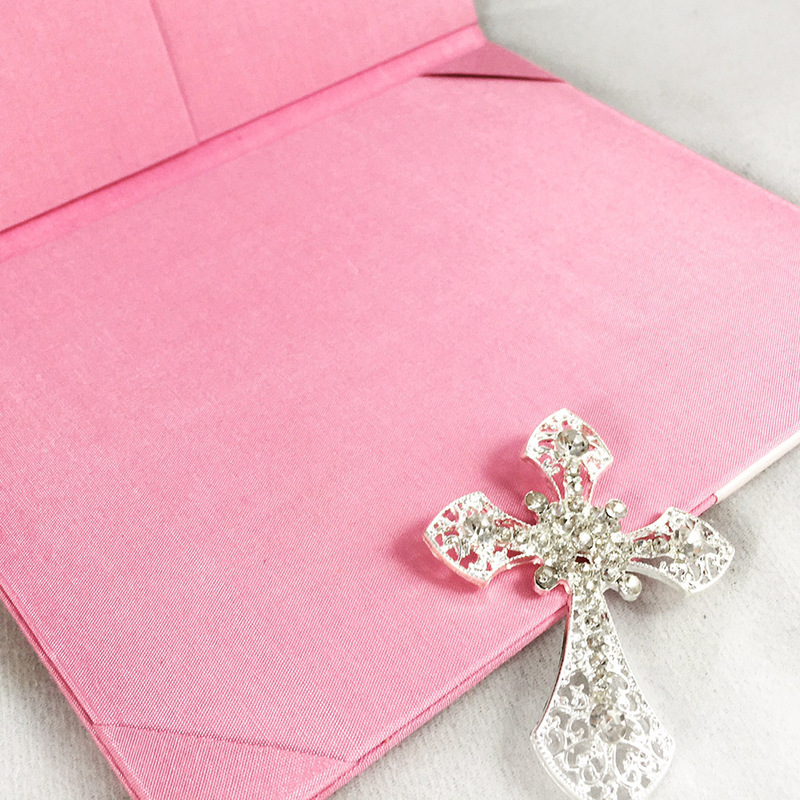 Handmade in our factory in Thailand, every folder is unique and created to the highest standards. 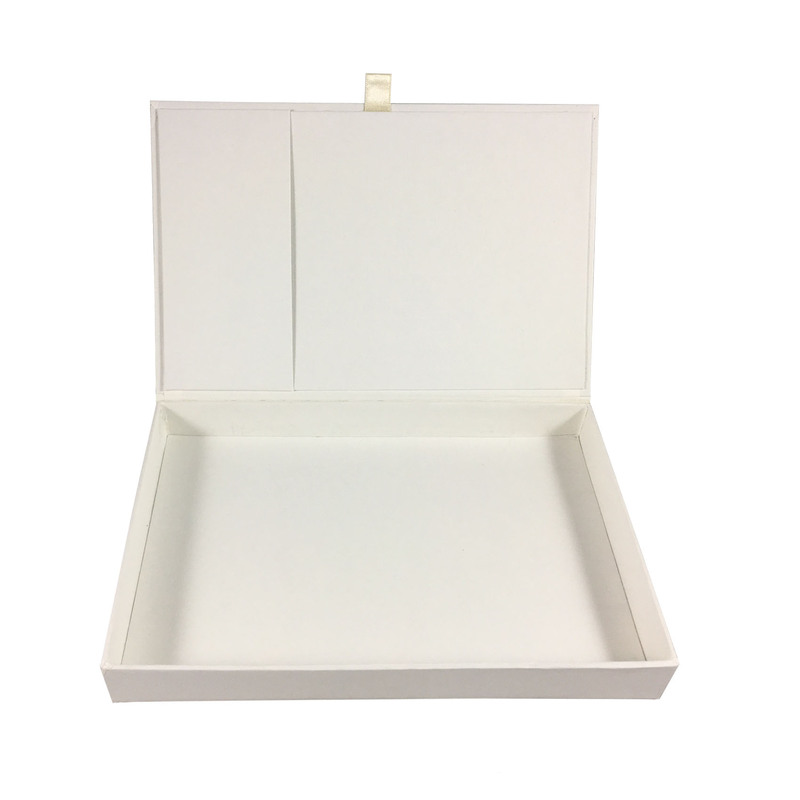 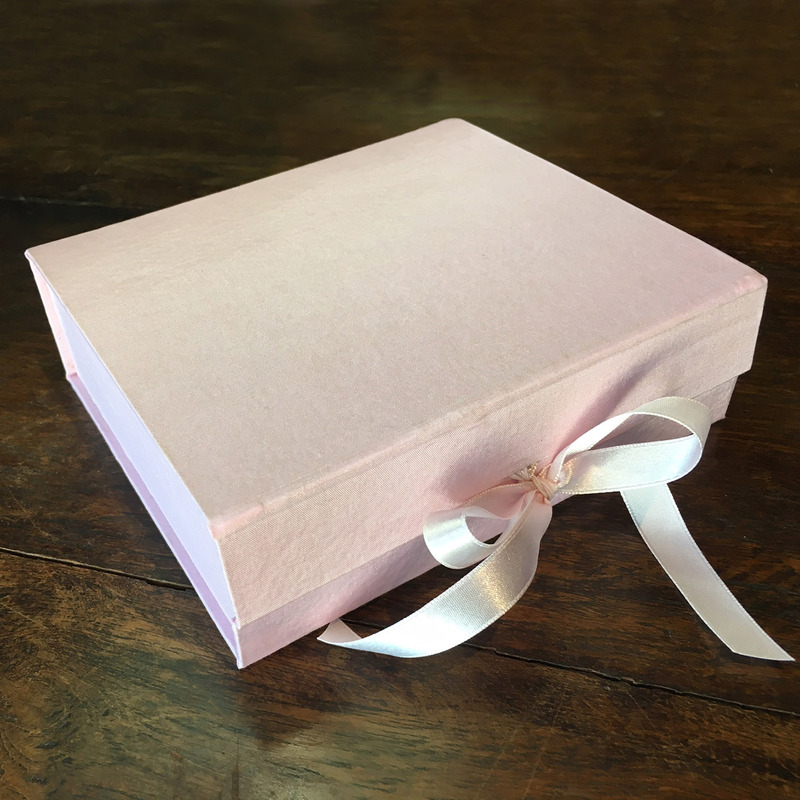 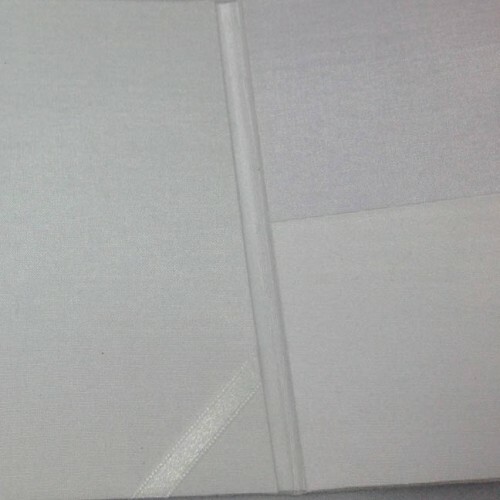 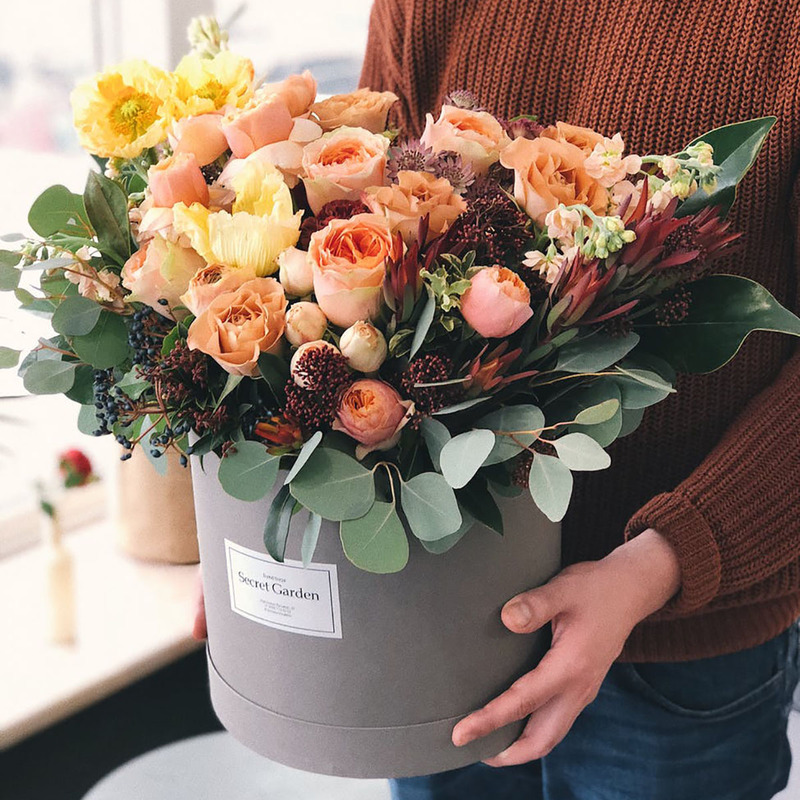 The outside of this folio is padded for extra strength, and the inside has a ribbon holder in the centre to hold the invitation, while the door has pockets for RSVP cards and menu options. 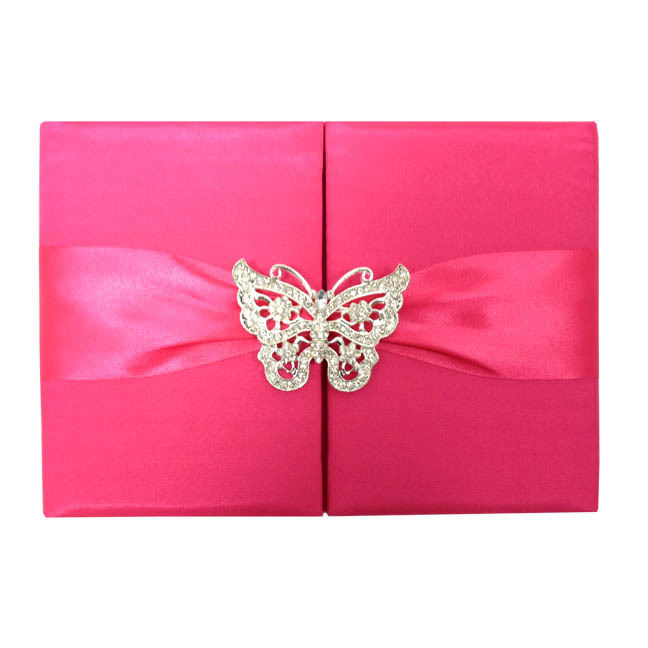 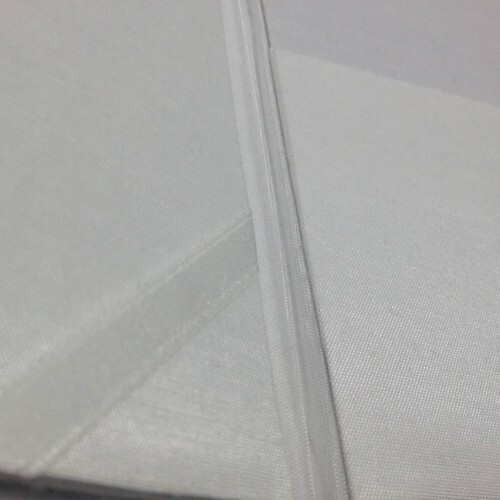 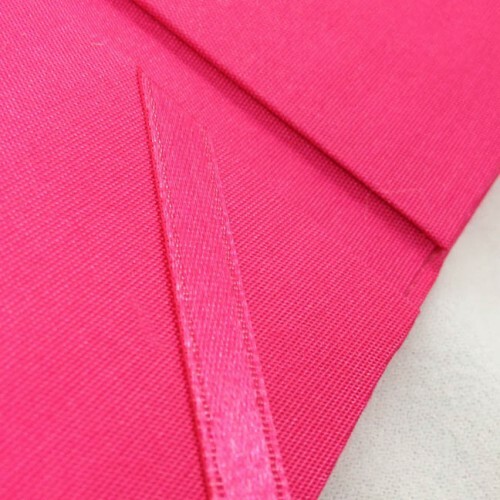 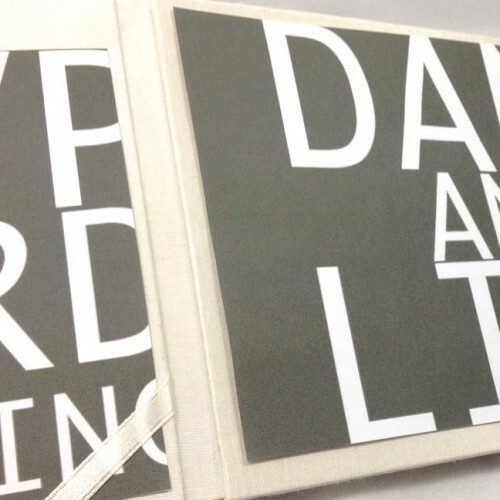 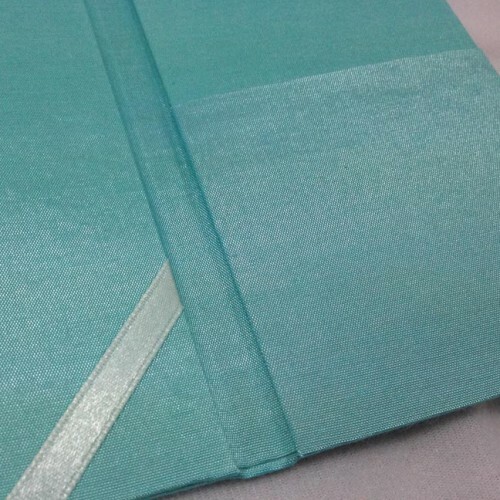 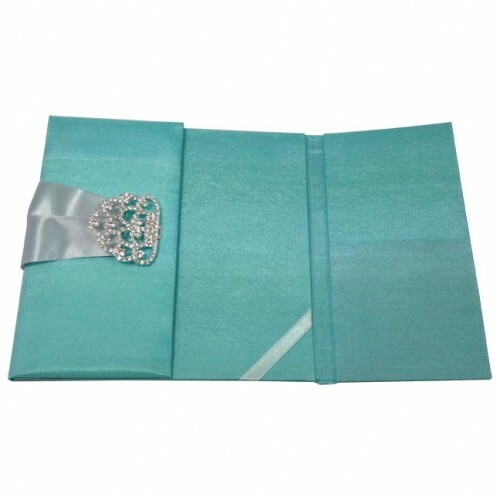 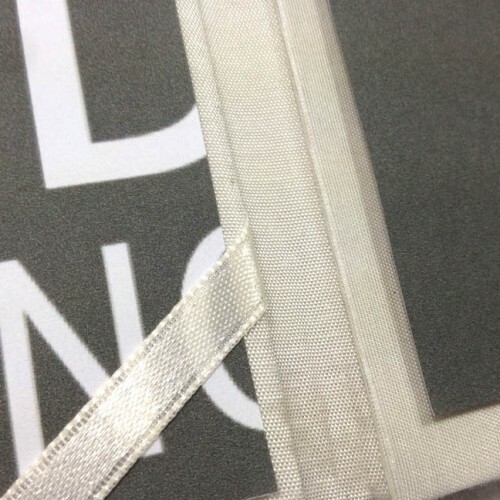 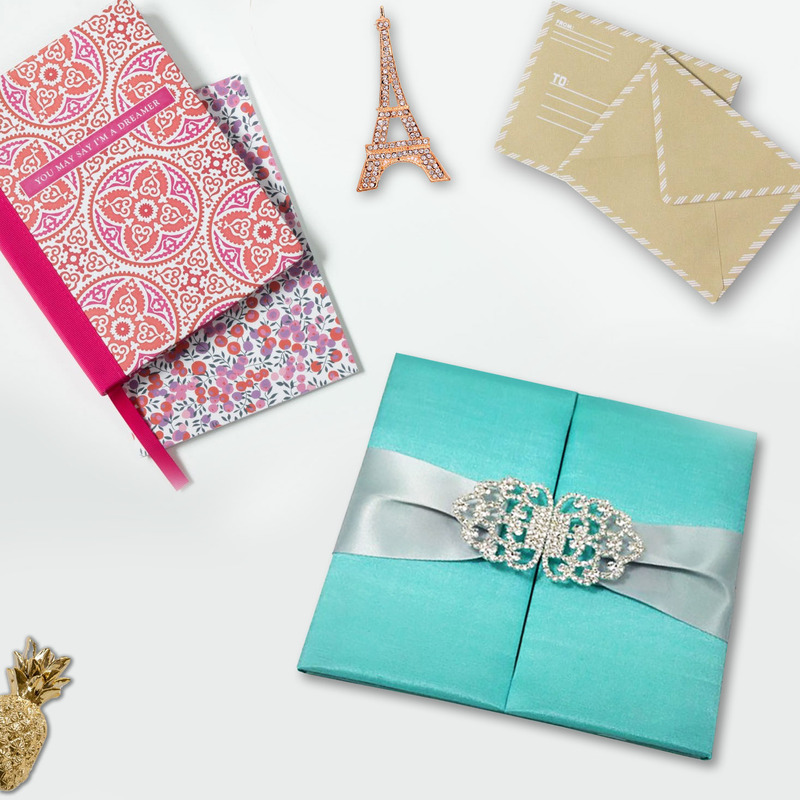 The entire product is wrapped in luxurious faux silk and measures 6 x 8 inches. 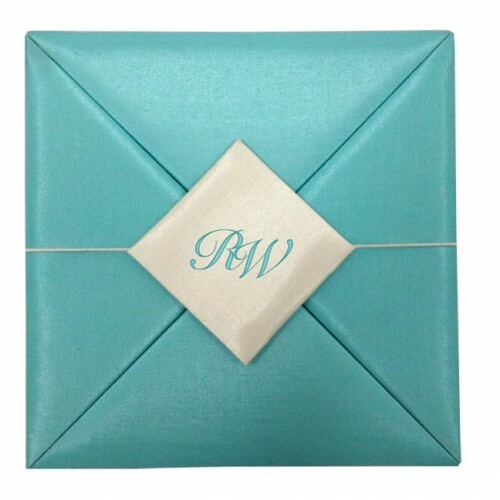 This folio would also be suitable for birthday invitations, corporate events and other special occasions. 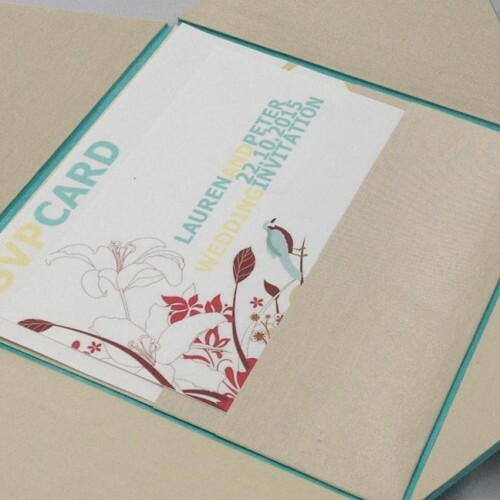 Or maybe you would just like to send an announcement card in it.